Testing season is upon us. We want to make sure our students are as prepared as possible for the up and coming SOLs. It is a fine line between preparing and overwhelming students. If you feel your child needs further practice we would like to provide some sites that you can use to help them practice and familiarize themselves with the SOL format. SOLPass – Practice SOL questions as well as access study guides and other resources. Jefferson Lab SOL Practice Questions – This is a practice test for several SOL tests. 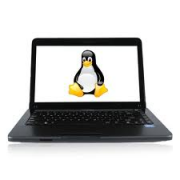 You can find a variety of grade levels and tests for practice. VirginiaSOL – Make sure to choose your grade level from the column on the right to see practice item options. SOL Tools Practice – This site focuses specifically on what tools are available on the SOL test and how to use them. It provides students with a stress free way to practice. 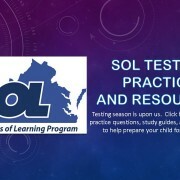 VDOE SOL Practice Items – This is the State site for the SOLs. There are many resources available such as practice items, videos, study guides, etc. Please see the information below regarding SOL testing. Many families have found this information useful when planning family vacations, doctor’s appointments, etc. If you have any questions regarding testing, please contact Mrs. Deanna Nelson, Assistant Principal and School Testing Coordinator (STC). WJCC’s Spring 2016 SOL Testing Window will be MAY 9-JUNE 3, 2016. During the above window, each school must administer tests to all students taking the test for the first time. The window will include time for students to be administered make-up tests as needed. Expedited re-takes will be administered in the above window or through the last day of testing which will be June 10, 2016. 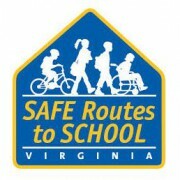 On behalf of our Safe Routes to School program, we are excited to have our monthly walk/bike to school day on Thursday, April 21st. See the flyer (link) below for more information! Enjoy yourself and support our school by coming out on Wednesday, April 26th, to Blaze Pizza for Spirit Night! See the link below for details. Hope to see you there! 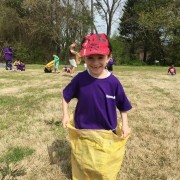 The Power of Produce (POP) Club provides a fun opportunity for children to engage in our local food system through conversations directly with farmers, educational games and demonstrations, and exposure to new fruits and vegetables. 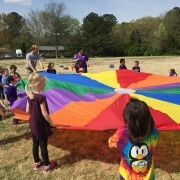 In addition to participating in educational activities, POP Club kids receive vouchers to spend at the market, allowing them to make their own shopping decisions. The more weeks you attend POP Club, the more opportunities there are to earn vouchers, win prizes, and enjoy activities at the market. Parental attendance is required to participate in the POP Club.